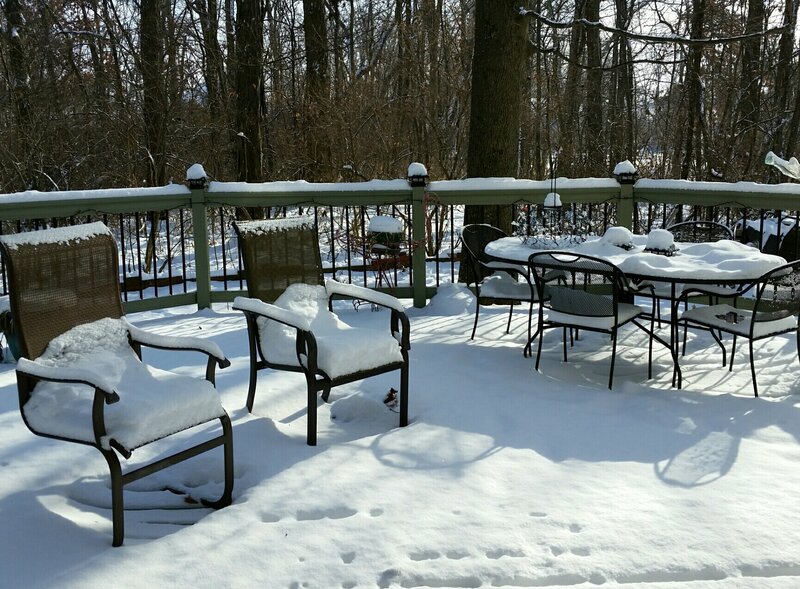 Happy New Year’s Eve! Time to take stock of my goals for the year. Yes! I revisited and refolded a lot of my stash (although some of it is messed up again). I cleaned out a cabinet, hung up some small quilts, and stored others out of the light in that cabinet that is hard to access behind my ironing board. So, a pretty successful year, but room to improve for 2018. I’ll be back soon with my new goals. In the meantime, I’m going to use this quiet day to sew! Hope you can, too! Categories: Stash | Tags: goals | Permalink. As best I can tell, this is what I made this year. They’re in no particular order; it was enough just to collage them. 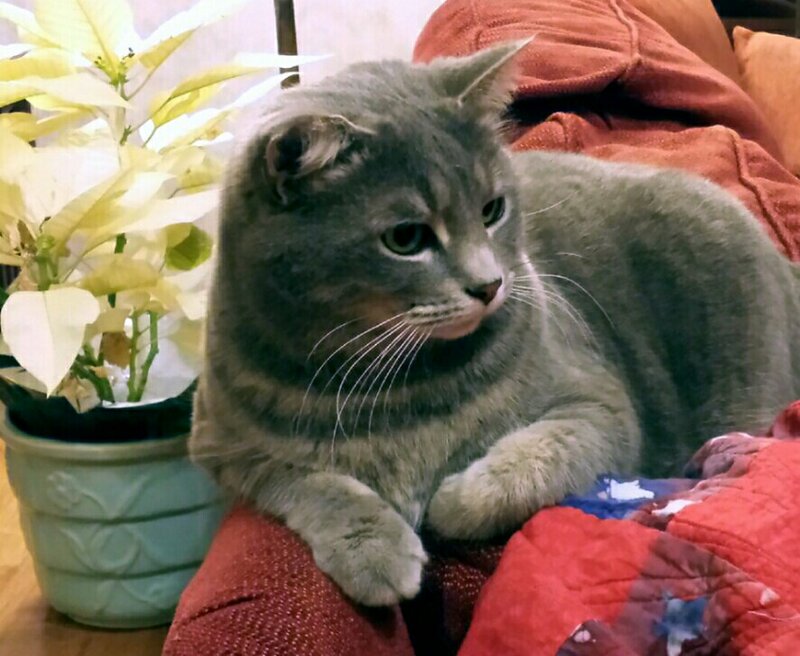 Lots of donation blocks, some donation quilts, a few bed quilts for us, some gifts, some things to sell on Etsy. Quite a few projects. Definitely colorful. Some celebrated new babys, a few went to tragic situations. 2017 was quite a year. Thank you for sharing it with me. Merry Christmas Eve, Happy Holidays, and happy Solstice to all of my friends who read this! I can’t travel the world, but on here we get glimpses of each other’s lives and traditions and wonderful artistry. We share so much and you bring me a lot of smiles. Thank you! 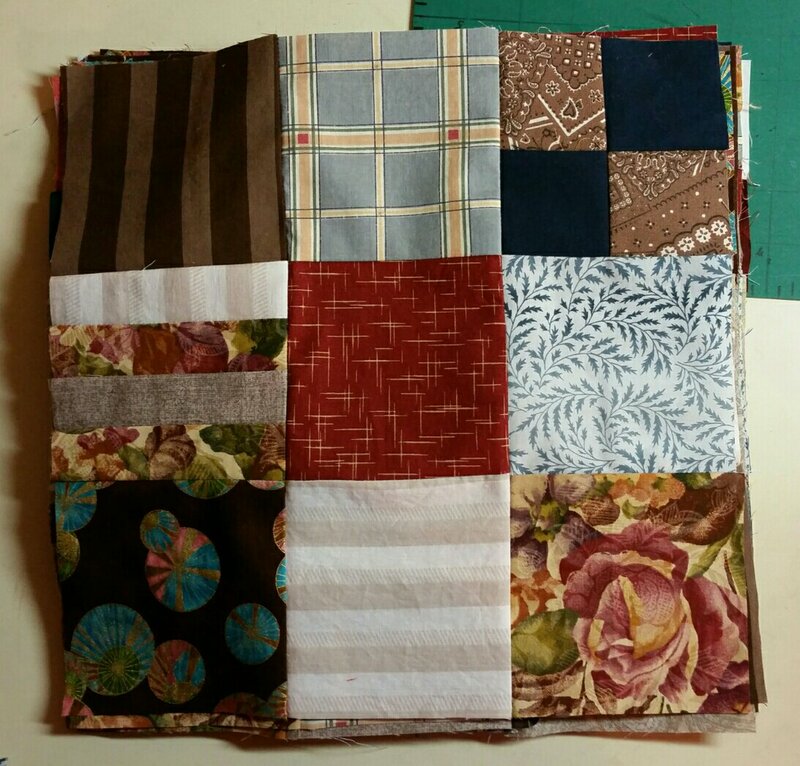 Not much sewing happened this week, but I did sew these eighteen blocks for the Ventura Modern Quilt Guild’s drive for the Thomas fires. So close to the fifty yards I’m trying to destash this year! I always use these days to make donation pillowcases, so that will put me over the top. Wishing you all peace and kindness in this season! I forgot to file a report last week, even though I had a finish! That Nautical Baby Quilt used 3.5 yards. 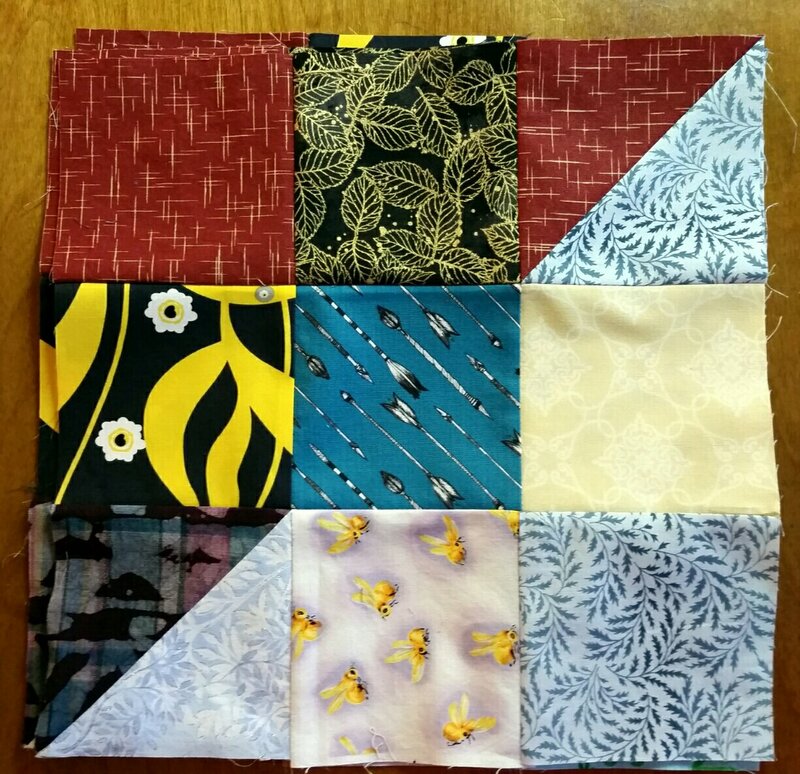 This week I used 1.75 yards to make a dozen blocks for Kat’s Covered in Love block drive. And I bought 2.5 yards of deep gold Christmas fabric for a scrappy top I’m making. Hope you’re enjoying the season and using your stash! This week I put together this baby quilt that I designed a few months ago. It has it’s roots in quilts I made in 2012 and 2013, but with much larger blocks. The blocks are all real signal flags, but I chose them for their graphic appeal, rather than their meaning. I had a signal flag print ready for the backing, but as I was looking for some fabric to piece into it, I found a big piece of this great fish batik, and this nautical stripe that I used for the binding. Love those fish! This sunny picture shows the quilting. I wanted improv wavy lines across it, but was afraid I would have trouble making smooth lines on such a large space. I used both sides of two rulers to mark a few lines. That left these voids between the wavy lines, so when I echoed the waves, I doubled back to make wave/flame shapes to fill in. Incidently, I spray basted this using that same can of June Tailor I started back on February 5. 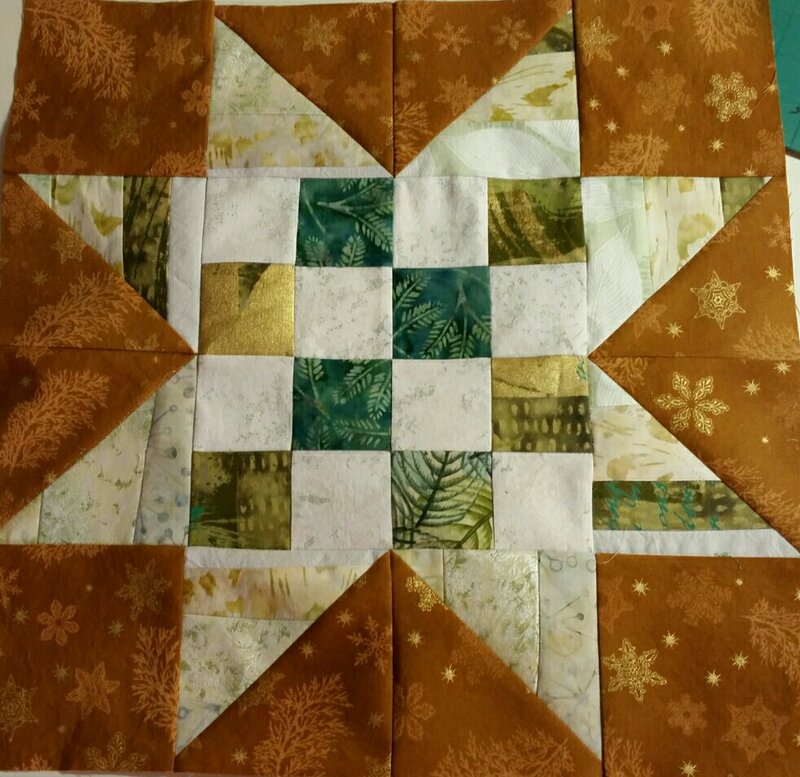 It’s getting low, but I think I can do one more quilt in January! I had fun making this, and I think it came out well. Find it in my Etsy shop soon. 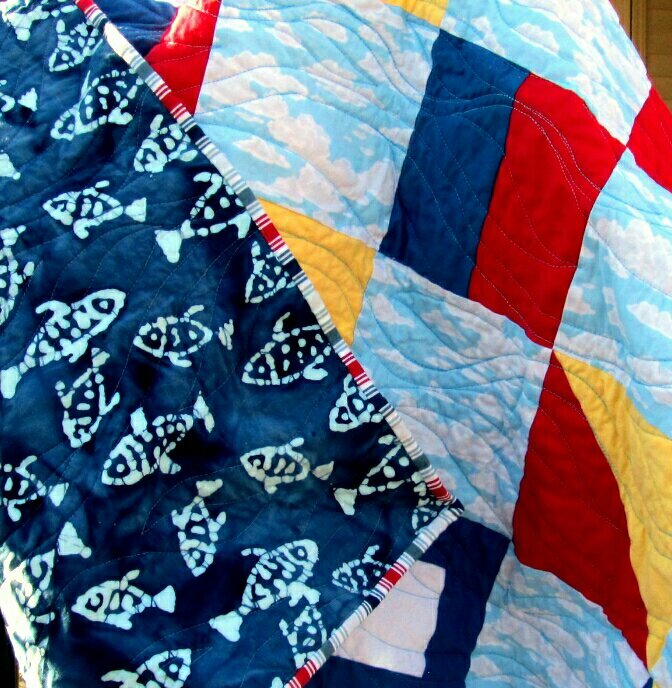 Categories: Finishes | Tags: Evening in the Garden, nautical baby quilt, sailing, signal flags, Valerie Root | Permalink. 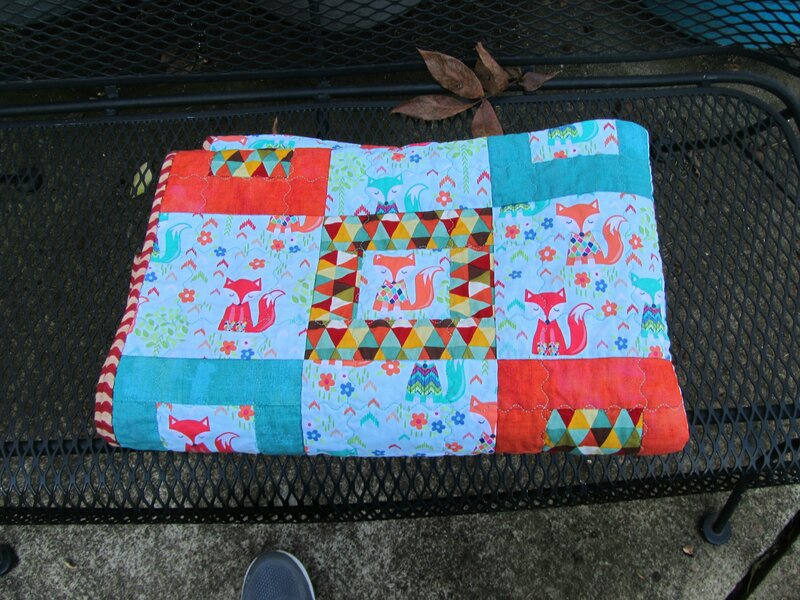 I spent a few hours this week making up this baby quilt from fabrics I had on hand. I hadn’t expected to use the turquoise and orange Grunge in this, but there it is. This was cheerful and fun to work on. 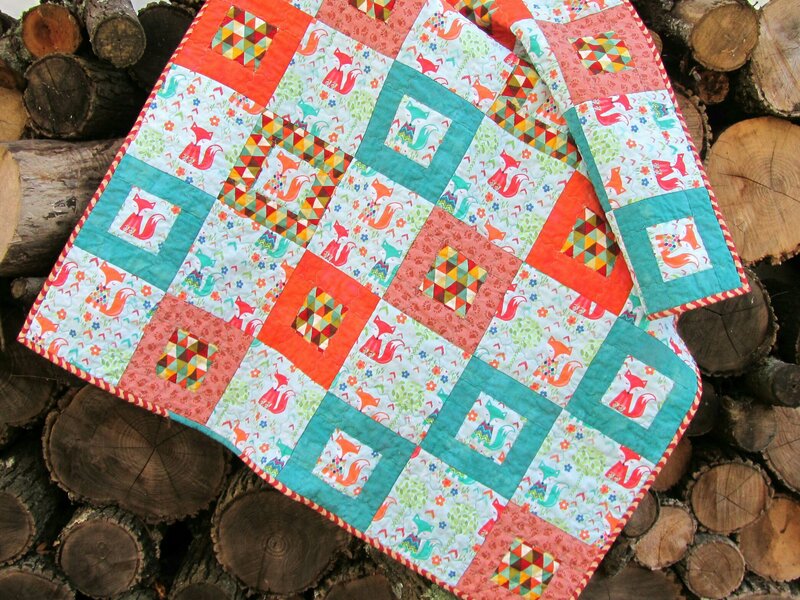 It’s quilted with a serpentine stitch where the frames meet the center patches, using Superior’s Twist thread in turquoise, and Bottom Line below. (It’s also quilted between all the blocks with Bottom Line.) I would place the stitching differently next time to make the stitches more visible, but, again, there it is. It does drape better than some of the ones that have more quilting. You’ll find this in my Etsy shop. The numbers are a wash, though, because there was some fabric acquisition over Thanksgiving. Good luck on your destashing!